Okayama, also known as “sunny country”, is known as a castle town, a key hub of transportation, a fruit production area. 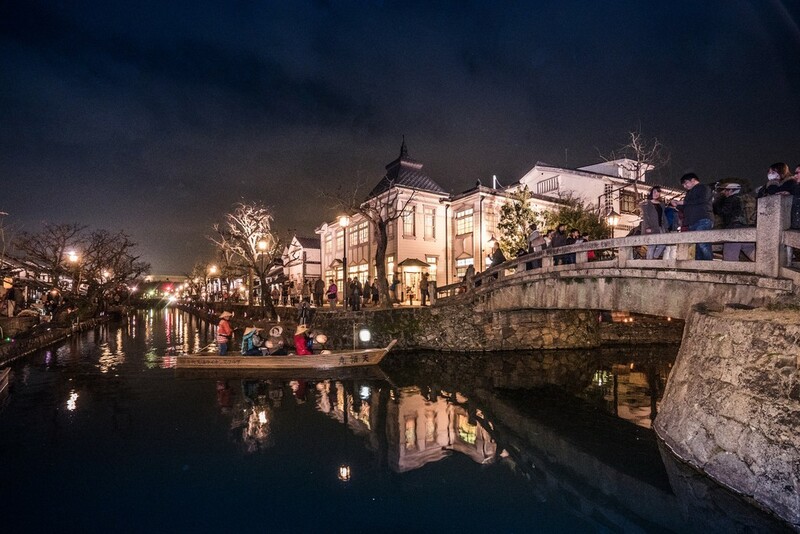 This place is also famous as a tourist destination, among them “Kurashiki Bikan Chiku” (Kurashiki beautiful sight area) is especially popular. 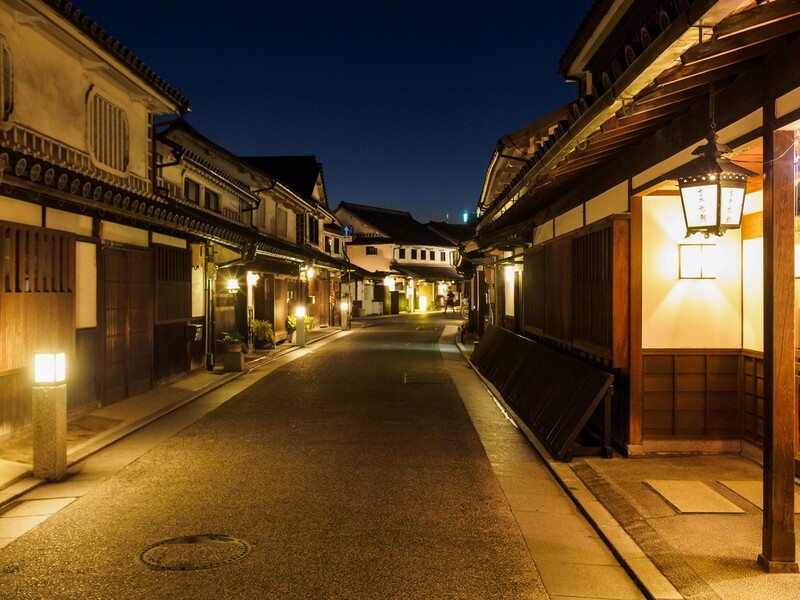 Shops dealing with the Kurashiki brand such as “Kurashiki Hanpu” (Kurashiki sailcloth) and denim, and cafe of the town house blend into the atmosphere, and if you stroll through the beautiful area, you can enjoy nice landscapes and gems. Okayama, blessed with a mild climate is widely known as a fruit production center. 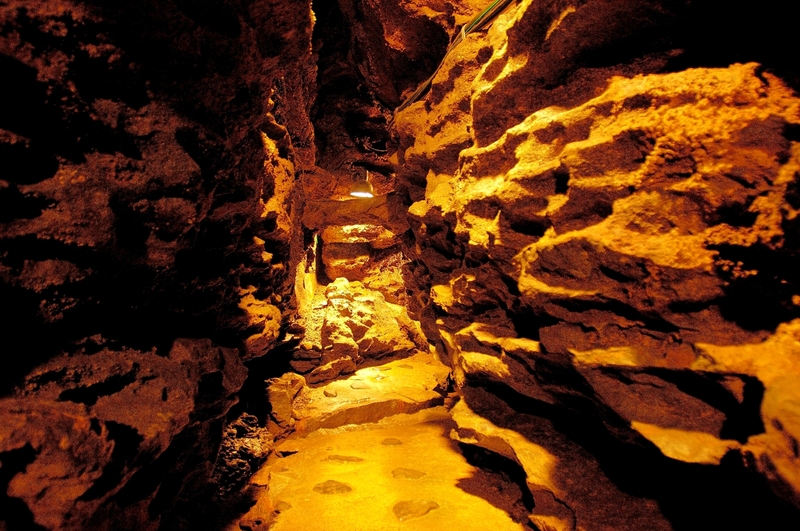 It is also known as the birthplace of Kibi culture, prospered as a key hub of traffic to Shikoku area and Chugoku area. 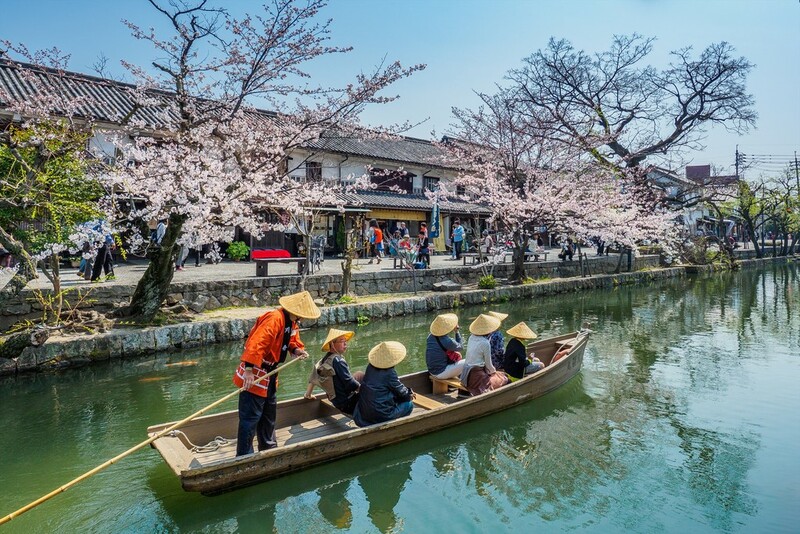 Okayama is also popular as a tourist destination, especially in Kurashiki located in the southern part of the prefecture and the Seto Inland Sea coast, many people are from Japan and abroad. 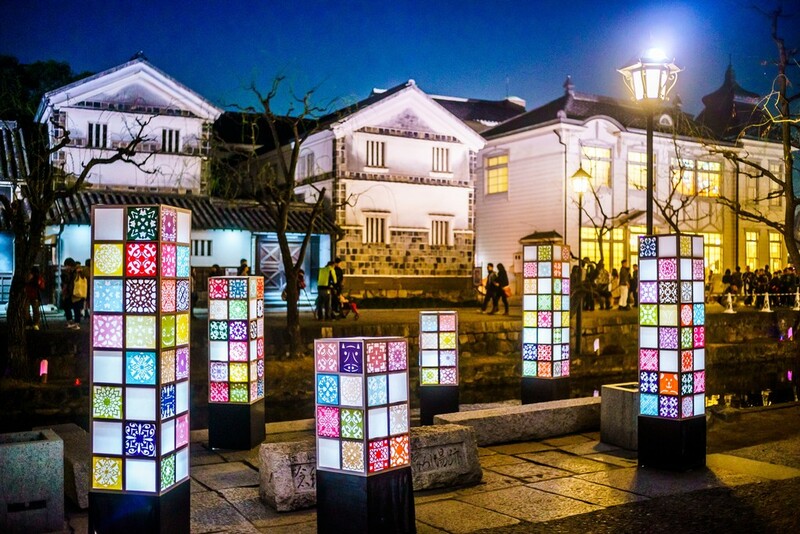 Even inside Kurashiki city, “Kurashiki beautiful sight area” where elegant buildings with white walls and roof tiles are impressive are particularly popular. 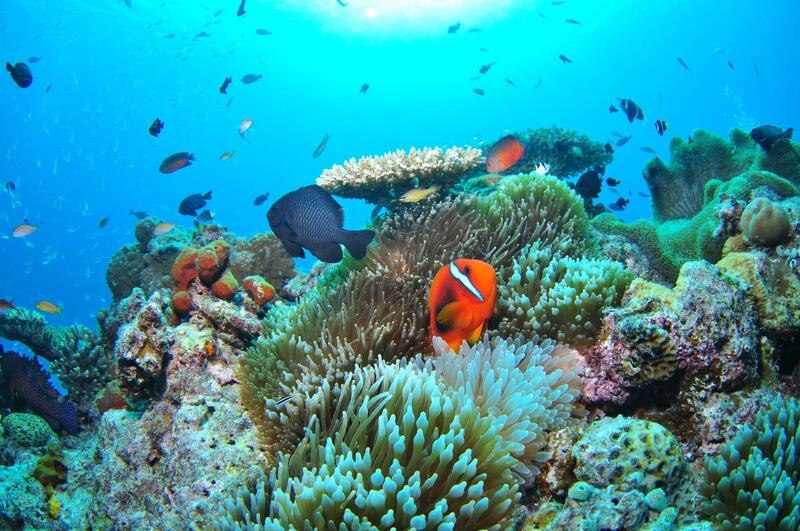 It is well known nationwide as a tourist attraction for a long time. Beautiful canal and rows of willow trees, the white house’s mansions and warehouses, and the streets where the town houses lined up are quite emotional. 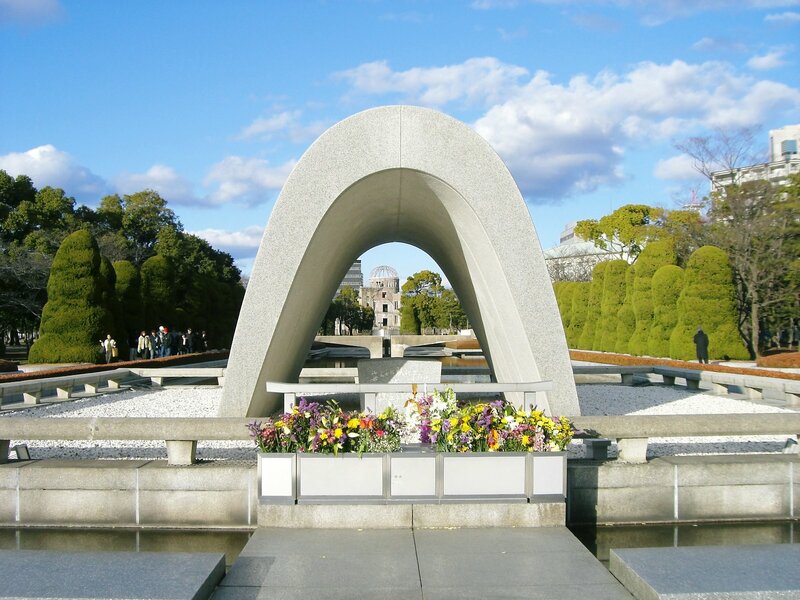 This is the spot to visit first if you are going to sightsee in Okayama. In recent years, the brand from Kurashiki has increased in popularity, and attention is gaining again in traditional handicrafts such as “Kurashiki Glass”. In “Kurashiki Beautiful District”, unique and attractive shops dealing with such traditional handicrafts and Kurashiki brand products are erected and showcasing with many people. In addition, they are eating places such as a cafe and a restaurant made by refurbishing the warehouse and town houses built in the Taisho period from the Edo period. Every store cherishes “beauty” rooted in Kurashiki, while preserving old buildings well. Also, the arrangement of the interior has been devised, and it embodies the way of comfortable “living”, and it is restricting a lot of coming people. It’s less than 10 minutes walk from Kurashiki-eki Station south exit. It is downtown as you might say that it is the center of Kurashiki. There is another world if you step into this beautiful sight area from main street. It is called “the Kurashiki Bikan Chiku” (Kurashiki beautiful sight area) that is area storing scenery and a building by the regulations of Kurashiki-city. This area used to be the place that prospered as a shipping place of rice in the Edo era, which is reminiscent of the past from storehouses. There are the cultural facilities including the Ohara art museum storing a global masterpiece, the folk handicraft museum, the archaeology museum and the Japan toy museum. 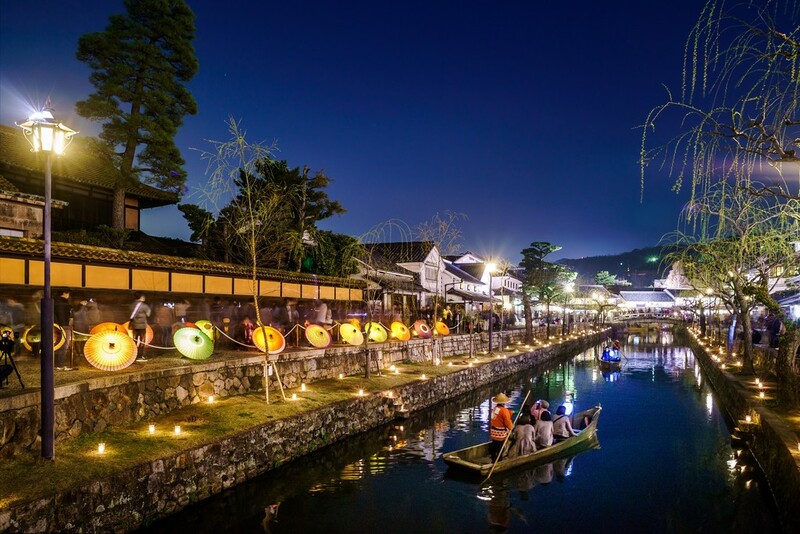 The facilities like warehouses, inns, stores and museums stand in rows on both sides of the Kurashiki River flowing through in front of the Ohara art museum, and they make so-called “the Scenery of Kurashiki”. The white walls and “Namako-kabe walls” (covered with square tiles jointed with raised plaster) shows beautiful contrast, and the rows of willow trees rustling in the wind casts a shadow over the Kurashiki River, those scenery leave beauty of the traditional Japanese building well.